Win £150 worth of sports equipment for your school! 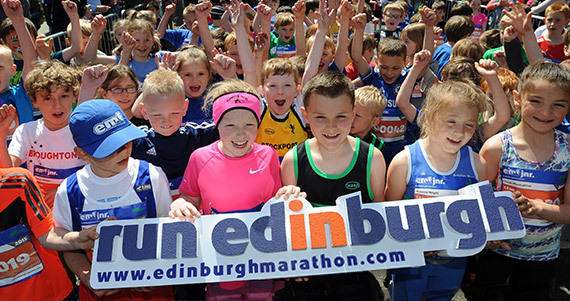 In order to qualify for the Junior Schools Competition, a school MUST enter at least 3 boys and 3 girls into the EMF Junior Races (this includes the Junior 5k, the Junior 2k, the Junior 1.5k and the Kids’ Kilometre). The top three girls and top three boys score points for each school. Points are awarded equally to the position in which the runners crossed the finish line. The first place gets one point, the second place two points etc. The points for these runners are then added up, and the school which finishes with the “lowest” score of all will be officially announced the winners. This will be calculated after this year’s event has ended and the school will be contacted to organise the delivery of voucher. So what are you waiting for? Don’t miss out on this fantastic opportunity to do something amazing for your school!